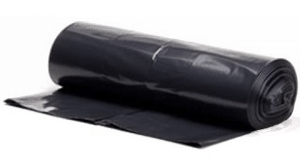 In an earlier news update we advised that a roll of 52 black bags should be delivered to every household by the end of May. We have now heard that because CBC have been let down by their bag suppliers the dates are going back. Instead of deliveries in Winstred Hundred happening in w/c 6th May it will now be w/c 27th May. The date for complaining yours haven’t come goes back from 20th June to 11th July. From the 1st April all garden waste sacks will be available to residents at a cost of £3.64. Free exchanges on worn out sacks will no longer be available. This change will enable the Council to cover the cost of providing these containers as part of the service for those residents who choose to use the kerbside collection to recycle their garden waste. The Council’s garden waste sacks are specially designed and manufactured for us to safely collect this particular material. All other recycling containers continue to be free of charge. Free and paid-for containers can be collected or purchased from the network of stockists listed online at www.colchester.gov.uk/recyclingcontainers. These online listings are regularly updated, including for stock availability, so it is always best to check online first including how to pay. Suppliers can be found in communities across the borough. Similarly, Community Zone team-led events, where the free recycling containers are available for collection, take place year-round. In the next few months we aim to expand these networks, working with partners. . Residents requiring garden waste sacks without a nearby stockist can go online and arrange free home delivery, or alternatively email [email protected] or phone 01206 282700. Colchester Borough Council is supporting Recycle Week and is encouraging residents to recycle their small electrical and electronic equipment (anything with a battery or plug) at local Recycling Centres for Household Waste. Nearly 40% of UK residents say they are ‘electrical lovers’ with a quarter missing out on time with family and friends, and 33% losing sleep to spend time with gadgets such as laptops, mobile phones and iPods. Each of us accumulates an average of three new electrical items a year, or 173 million nationally, but only 1 in 5 small electrical items gets recycled each year. The valuable materials such as silver that these items contain can be used again which saves precious new resources from being used. When recycled, just one toaster can provide enough steel to make 25 new cans. Where can residents reuse or recycle electrical and electronic equipment? 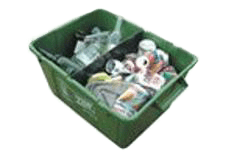 Recycling Centres for Household Waste in the Colchester area are at Shrub End, West Mersea and Lawford. Click here to find the nearest site and information on all items that are accepted there. Alternatively unwanted working electrical and electronic equipment can find a new home by donating them to charities, including the British Heart Foundation, or on reuse websites. Click here for charity and reuse website contacts. Nearly 40% of UK residents have at least one electrical item from the last decade stored unused at home. So whether clearing out cupboards, the attic or shed during Recycle Week or throughout the year residents can give all their old, broken or unwanted small electricals the chance to be useful again. There’s no need to hang on to these items due to not being sure of what to do with them or hoping they will come in handy one day. Residents can to pledge to recycle their waste electrical and electronic equipment, enter a prize draw and find more interesting facts and tips by visiting the Recycle Week website.